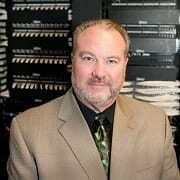 John Murphy joined MTR Gaming in April of 2012 as the Senior Director of IT and led the IT installation and team development for Scioto Downs Racino in Columbus, OH. 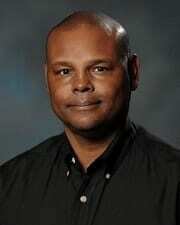 Mr. Murphy has 16 years of experience working in the gaming industry. Prior to joining the Company, he was the Tunica Regional Director of IT for Resorts Casino Company from 2011 – 2012. Prior to Resorts John was the Director of IT for Ameristar Casino, Kansas City from 2010 – 2011. Mr. Murphy was the Chief Information Officer for Premier Entertainment LLC, the developer and parent of the Hard Rock Hotel and Casino in Biloxi, Mississippi, from 2004 to 2008 and was instrumental in developing, maintaining business continuity and re-developing the Hard Rock Hotel and Casino after being destroyed by Hurricane Katrina. Before Premier Entertainment, Mr. Murphy spent six years as Director of IT for Caesars Entertainment’s Grand Casino Resort in Gulfport, Mississippi. Before becoming involved with the gaming industry Murphy served in the US Navy, Submarine Force in communications making several deployments on the USS Gato (SSN 615) and USS Woodrow Wilson (SSN 624) before being selected as a “Plank Owner” to be on the opening team for the state of the art Submarine Base in St. Mary’s Georgia. Murphy was born in Dallas Texas and graduated from the University of Central Texas. "Gaming & Leisure is the one publication that addresses all areas of the gaming and hospitality industry; it is the one source that decision makers go when they are looking for best of breed regardless of the project. G&L has initiated, maintained and continues to flourish relationships with industry leaders to bring timely interviews and articles for the betterment of the entire industry. I never miss an issue."